Shane Schreiber served in the Canadian forces for 28 years as part of the Princess Patricia’s Canadian Light Infantry (PPCLI). He spent the bulk of his career in command appointments in field units, including tours with the PPCLI Parachute Company and eventually commanding the Second Battalion PPCLI. He completed operational tours in Cyprus, Bosnia, and two tours in Afghanistan (2002, 2006), for which he received the Canadian and NATO Meritorious Service and the US Army Bronze Star medals. Retired today from military service, Mr Schreiber still dedicates himself to military history and is a critically acclaimed historian and author. 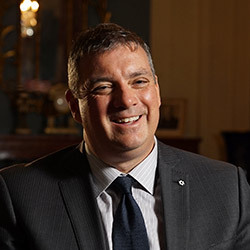 His academic background includes an undergraduate and two Master’s degrees from the Royal Military College of Canada, from which he received several awards as well. 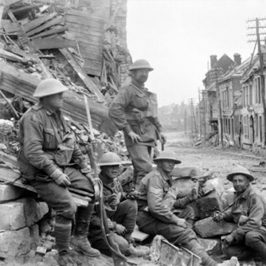 His book Shock Army of the British Empire: The Canadian Corps in the Last 100 Days of the Great War, is highly regarded by military historians, and he has appeared in numerous television documentaries on the Great War. 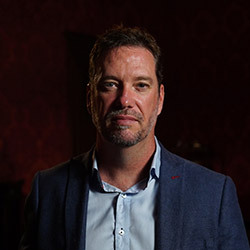 Mat McLachlan is one of Australia’s leading war historians and battlefield guides, and has spent almost two decades following in the footsteps of Australian troops on battlefields around the world. His 2007 book, Walking with Anzacs, is considered the definitive guide to Australian battlefields on the Western Front. It was reprinted in 2008, 2009 and 2011. 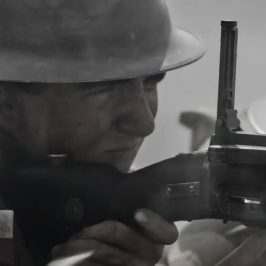 Mr McLachlan also produced and appears in the First World War documentary Lost in Flanders, which aired on the ABC in April 2009. His second book, Gallipoli: The Battlefields Guide, was published in 2010 and is the most comprehensive guide to the Australian battlefields of Gallipoli yet published. He brings a deep knowledge of Australian battlefields of WW1, especially the events of the last 100 days. Patrick Watt is an Edinburgh-based military historian and the curator of Modern History and Military Collections at the National Museum of Scotland. Having previously worked at the National Archives of Scotland for six years (now called the National Records of Scotland), Mr Watt left to embark on an academic career and recently completed his doctorate studies. 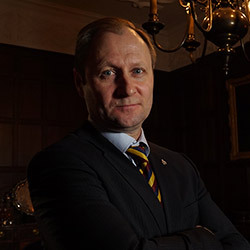 His research focuses on World War One, particularly the role of the Scottish forces, Scottish military tradition, and the relationship between Scottish manpower and the British State. 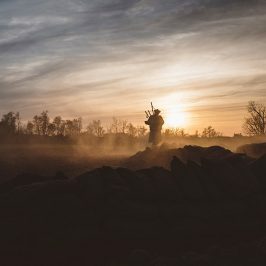 He has published widely on these matters and his work can be found in notable journals such as the International Review of Scottish Studies, History Scotland, and the Journal of the Society of Army Historical Research. His first book, Steel and Tartan: The 4th Cameron Highlanders in the Great War was published by Spellmount in 2012. Thanks to his in-depth research, Mr Watt brings an insightful knowledge of the Scottish experience during the 100 Days Offensive. Sir Hew Strachan is the Professor of International Relations, University of St Andrews. 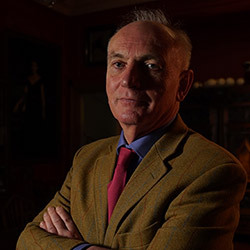 One of the UK’s most eminent military historians, Sir Hew has a particular interest in the First World War and the history of the British Army. He is currently on the UK and Scottish national advisory committees for the centenary of the First World War. His books include The First World War: A New Illustrated History, The First World War, Vol 1: To Arms and the Oxford Illustrated History of the First World War. Sir Hew offers us deep insights into the personalities, politics and relationships between our senior Allied commanders during the 100 Days campaign. 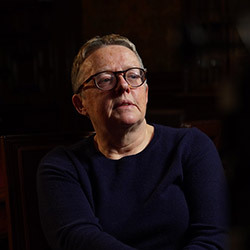 Elaine McFarland is an emeritus professor of history at Glasgow Caledonia University and throughout her career, has also been a member of the Fellow of the Royal Historical Society and the Society of Antiquaries (Scotland). Her research interests include Scottish military tradition, wounded veterans in inter-war Scotland, and examining the relationship between war and commemoration. Her co-authored book Scotland and the Great War helped draw attention to the experience of Scottish civilians during World War One, looking deeply at topics such as conscientious objection, voluntary recruitment, press coverage, gender and the war, and the Scottish Highlands and the war. 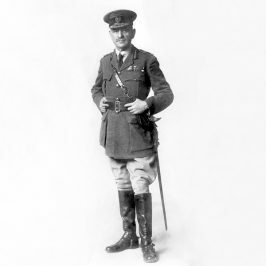 Her more recent book ‘A Slashing Man of Action’: The Life of Lieutenant-General Sir Aylmer Hunter-Weston MP’, also highlights Scotland’s role in World War One, investigating specifically British Army general and Scottish Unionist Member of Parliament, Sir Aylmer Hunter-Weston. 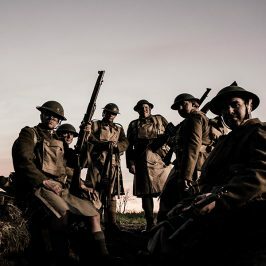 Through her well-rounded research Professor McFarland brings a wealth of knowledge on wartime Scotland to the last battles of World War One. 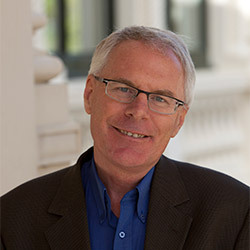 Bruce Scates is professor at the ANU School of History. 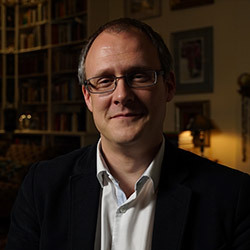 He is the lead author of Anzac Journeys (published by Cambridge University Press and short listed in the Ernest Scott Prize for 2014) and a contributor to the The Cambridge History of the First World War. Professor Scates is an expert on the ANZACS, Gallipoli, and the soldiers’ experience of war. Given this emphasis, he offers insightful commentary and analysis on the experiences of the soldiers, airmen and others who emerge as characters in 100 Days to Victory. 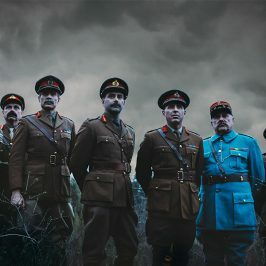 His most recent book, World War One: A History in 100 Stories (with Rebecca Wheatley and Laura James) pioneers new ways of presenting the past. He brings an emotional insight to the experience of front line soldiers in the last 100 days. Peter Stanley is Research Professor in the Australian Centre for the Study of Armed Conflict and Society, University of New South Wales. He is one of Australia’s most active military-social historians and authors. 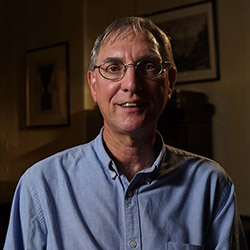 Professor Stanley worked at the Australian War Memorial from 1980 to 2007, where he was its senior historian from 1987, and there curated or contributed to many exhibitions, such as Gallipoli, Soldiers of the Queen, Echoes of the Guns and the Second World War galleries. In 2007, he became the inaugural head of the Centre for Historical Research at the National Museum of Australia. 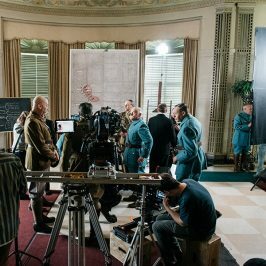 Professor Stanley is an adroit performer and has been part of many television histories, including appearing in several documentaries, together with other programs such as Australians at War, Monash the forgotten Anzac, and In Their Footsteps. He has a knack of being able to speak with authority and expert insight across the board – from grand strategy, to tactical battle scenarios, and the individual experience of combatants. 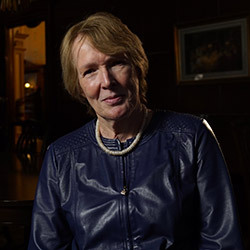 Margaret MacMillan is the Warden of St Antony’s College and a Professor of International History at the University of Oxford. Her books include Women of the Raj; Paris 1919: Six Months that Changed the World (for which she was the first woman to win the Samuel Johnson Prize); Nixon in China: Six Days that Changed the World; The Uses and Abuses of History; and Extraordinary Canadians: Stephen Leacock. Her most recent book is The War that Ended Peace. She is a Fellow of the Royal Society of Literature; a Senior Fellow of Massey College, University of Toronto; Honorary Fellow of Trinity College, University of Toronto, and of St Hilda’s College, University of Oxford. She sits on the boards of the Mosaic Institute, and the Reuters Institute for the Study of Journalism, and the editorial boards of International History and First World War Studies. She also sits on the Advisory Board Institute for Historical Justice and Reconciliation, and is a Trustee of the Rhodes Trust. She has honorary degrees from the University of King’s College, the Royal Military College, The University of Western Ontario, Ryerson University, Toronto and Huron University College of the University of Western Ontario. In 2006 Professor MacMillan was invested as an Officer of the Order of Canada.